Andhra Pradesh people's forum is holding a state-wide bandh on Monday after the demand for special category status to the state, which even led to N Chandrababu Naidu-led Telugu Desam Party (TDP) quit Narendra Modi-led NDA government at the Centre. The Andhra Pradesh Pratyeka Hoda Saadhana Samiti, which has called the shutdown, had asked opposition parties to support the cause. Responding to it, opposition parties such as the YSR Congress (YSRC), the Congress and the Left parties extended their support. Chief Minister N Chandrababu Naidu will observe a day-long hunger strike on his birthday, April 20, in protest against the Centre`s non-cooperation towards the state. 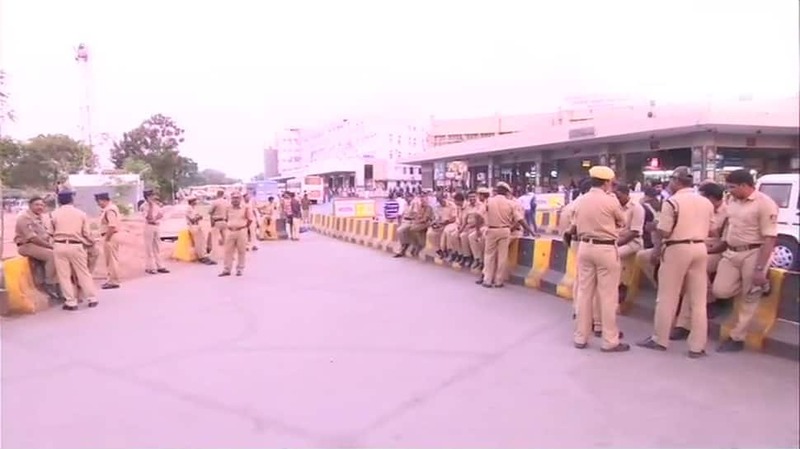 Karnataka State Road Transport Corporation buses to operate only till Andhra Pradesh state border today due to the statewide bandh called in Andhra over the demand of Special Status for the state. The ruling TDP led by Naidu has opposed the bandh call. Reacting to the shutdown call, the TDP chief said bandhs were not welcome as they hamper development. Jagan Reddy-led YSRC hit back at Naidu, accusing the Chief Minister of adopting 'double standards'. "When Naidu was the Opposition leader, he had called for bandhs on many occasions, but as a Chief Minister he is now opposing them (bandhs), saying they hinder development," YSRC political affairs committee member Ambati Rambabu said.